Whether you want to leave before dawn and do hard, tournament-type fishing, or simply to spend some leisurely time out on the water, we design the charter around you. Everything is included except your fishing license and what you want to eat and drink. 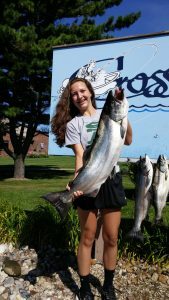 Exciting Lake Michigan fishing for salmon and trout from Ludington, Michigan -One- of Lake Michigan's top producing ports. 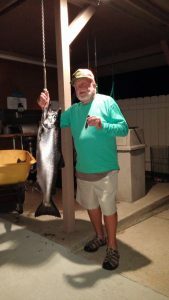 The season starts in April by trolling southern Lake Michigan shores for chinook and coho salmon, steelhead, browns and lake trout. 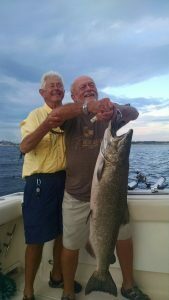 July through September, we fish deep water of the lake for big salmon, lake trout, browns, and those challenging steelhead. 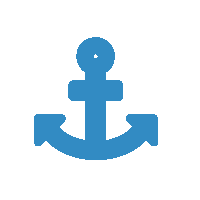 Our goal is to provide you with great memories that will last a lifetime! 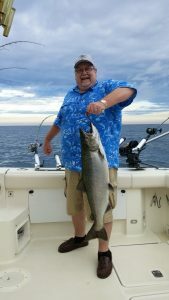 Captain Jim J. Karr is a 100 ton U.S. Coast Guard Captain and has over 35 years of experience fishing and navigating the Great Lakes. 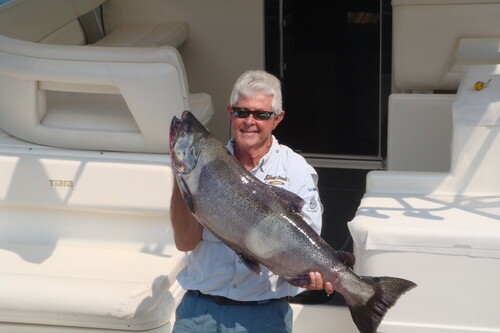 Whether it's skyrocketing steelhead or line ripping king salmon, Captain Jim will guide you over some of the most productive fishing areas, and that guarantees you will reel them in. 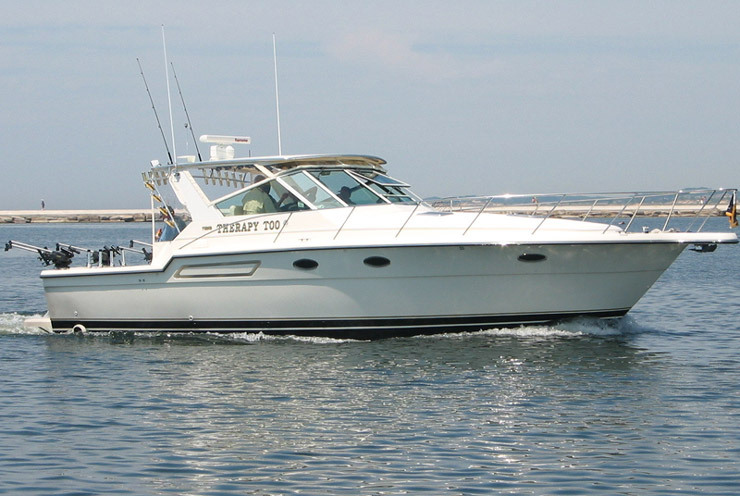 The Therapy Too is a 38' Tiara and one of the newer boats in the charter fleet. Meticulously detailed, comfortable & fast to open water. Featuring a large cockpit with full complement of superior fishing gear. The helm is fully interfaced, state-of-the-art electronics, with satellite and radar for your safety. 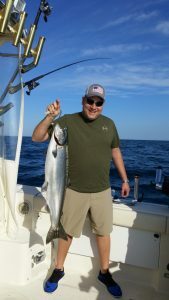 The Ludington fishing season starts in April by trolling the near shores of Lake Michigan for chinook and coho salmon, steelhead, browns and lake trout. 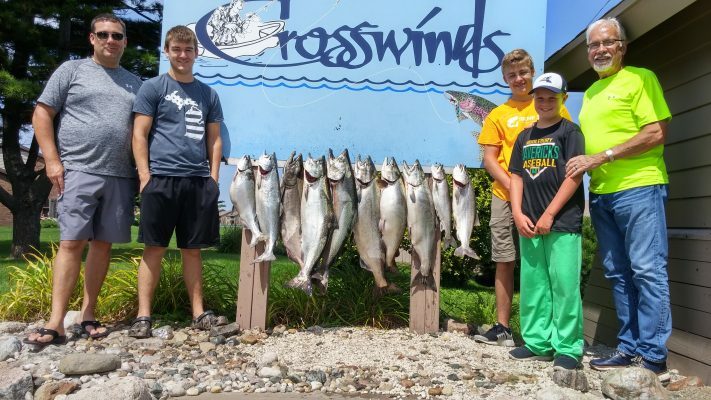 July through September is spectacular salmon fishing. 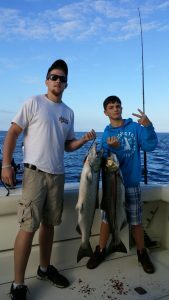 In the winter months we fish the Florida waters for grouper, amberjack, tarpon and more. Whether you want to leave before dawn and do hard, tournament-type fishing, or simply to spend some leisurely time out on the water, we design the charter around you. Everything is included except your fishing license and what you want to eat and drink. 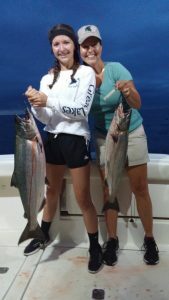 salmon fishing ,ludington fishing charters, Therapy Too is a great place to entertain clients, family, or friends, and the crew's professionalism and experience ensures the safest and most enjoyable charter possible. Our goal is to provide you with great memories that will last a lifetime! Are you ready to book a Charter? 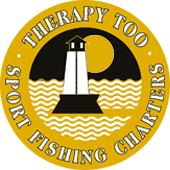 Therapy Too is a complete charter service. 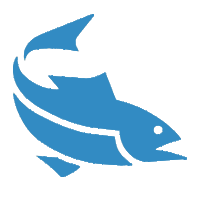 All tackle is furnished, daily fishing licenses are available on board, and your catch is cleaned and bagged --ready for your cooler. 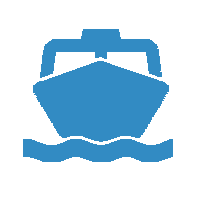 We are happy to help arrange for lodging, photographs, taxidermy and transportation from the airport or car ferry. You may use our catering services, or bring your own food and beverages; either way, be sure to have a cooler in which to take your catch home.